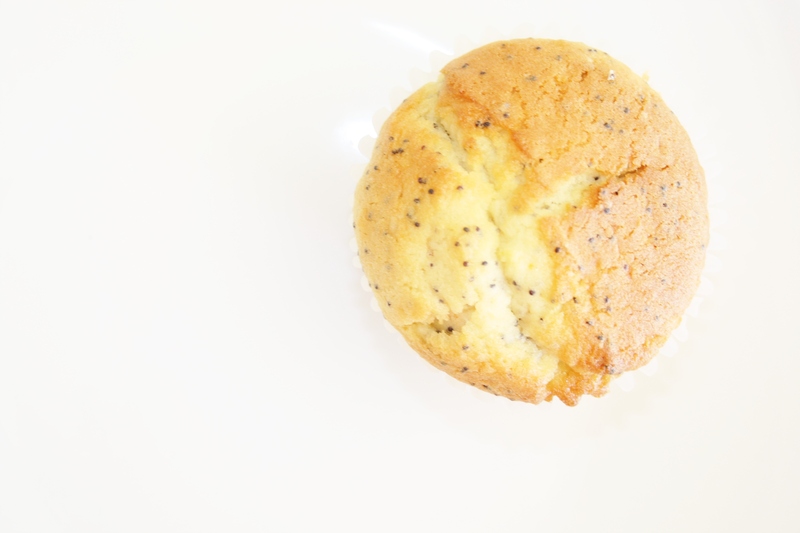 I have been craving a delicious orange and poppy seed cupcake for ages now, and after eating a disappointingly average one from a café a while ago I thought it was time to get on and make my own. I wanted something with a super fine crumb, light as a feather but with a crunchy icing-free top. So really something in between a muffin and a cupcake. 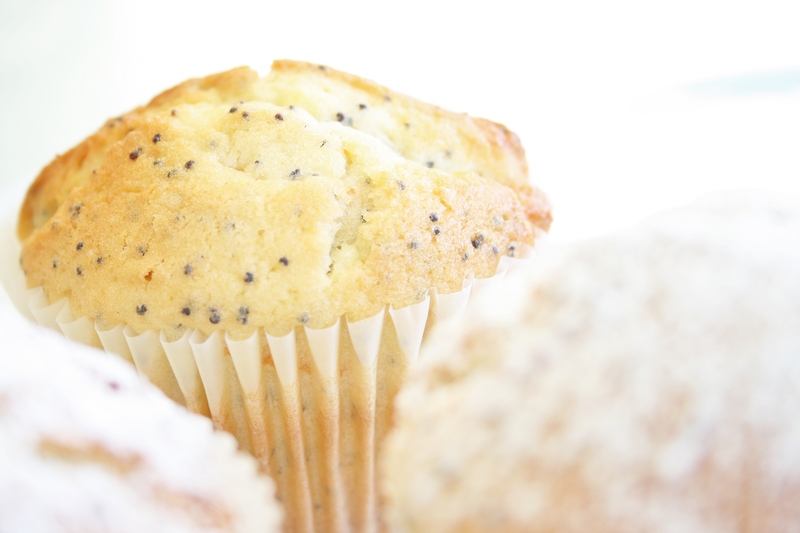 One of the major differences between a muffin and a cupcake is how the fat component is mixed. For a muffin you would stir in either melted butter or oil with the rest of the ingredients and will end up with a slightly heavier and more dense product. 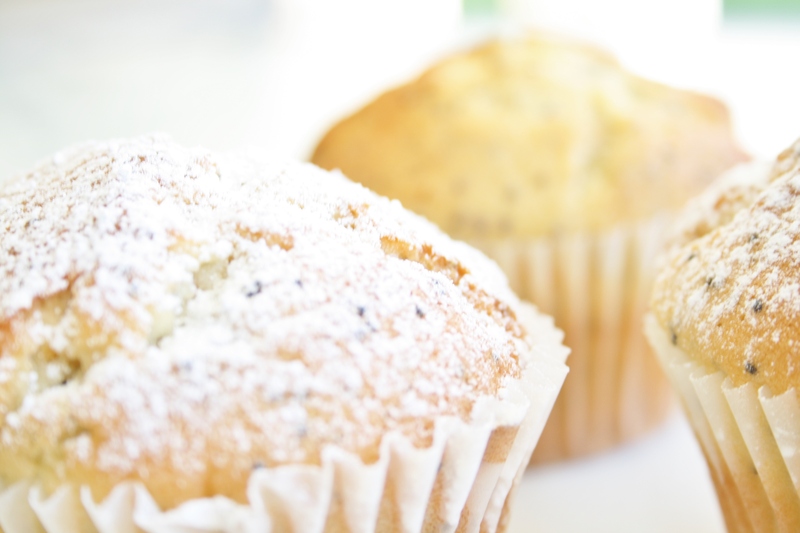 Biggest bonus – it takes no time at all to whip up a muffin batch, and all you need is a wooden spoon and a bowl. 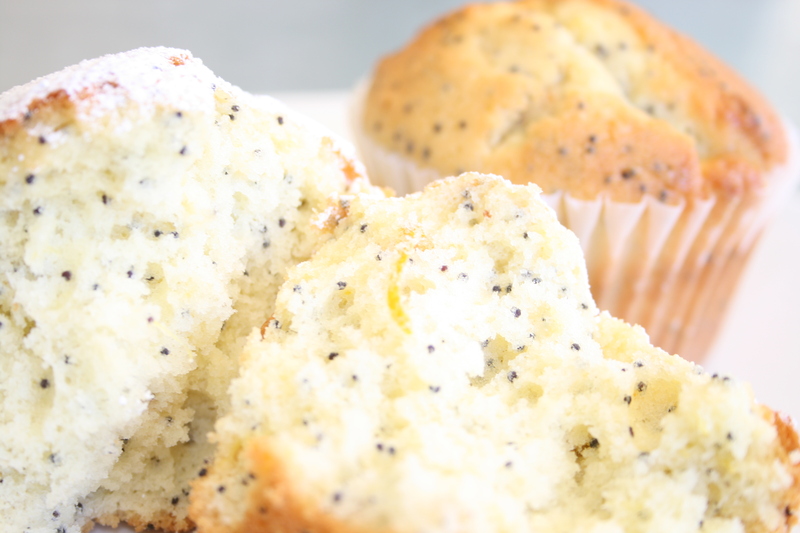 With cupcakes, the fat component which is usually butter is beaten with the sugar until it is light and fluffy which creates a much lighter cake with a very fine crumb. This takes a little longer, and unless you work out, an electric beater is a must. So for my muffin-cupcake cross, I followed the cupcake method but poured my liners a little fuller to rise out like a muffin and left it in the oven just a couple of minutes longer to create the crunchy top. This is really a cupcake recipe, so if you are planning on icing it, only fill the liners two thirds of the way. Because I filled it more I only got 12 cakes out, but if you’re only filling it two thirds of the way you should get 18 cakes. Cream the butter and sugar until light and fluffy (at least 5 minutes) then add the extracts and zest and beat well. Mix the milk, poppy seeds and orange juice and pulp together in a measuring cup. Reduce speed to low and add the flour in three additions, alternating with the milk mixture. Evenly divide the batter between either 12 paper liners for larger cupcakes, or 18 paper liners for medium cupcakes. Store any left over cupcakes in an airtight container for up to two days (due to the high butter content they do dry out so just pop into the microwave for a few seconds to warm through if eaten the next day). I have always wondered what the true difference between a muffin and a cupcake is. I always just assumed it was the fact that a cupcake often has icing while a muffin doesn’t.